Jared receives word his older brother, Prince Anders, is dead and he must now assume the title of Prince of Archenfeld. The death is ruled murder by poisoning and his young wife, revealing she is pregnant, could have been the possible target. Or perhaps she was the assassin. Prince Jared, with the help Asta Peck, the Healer’s niece, is determined to discover the truth behind the murder. 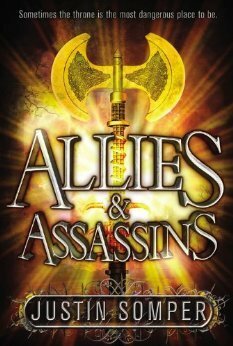 The new prince is only sixteen and is suddenly saddled with the ruling of a kingdom and learning who is truly an ally and who is an assassin. The book covers one week in the young ruler’s life and the whirlwind of events following shifting suspicions. With many discussions set in the morgue to determine cause of death, the feel of this book is more murder mystery/detective novel. The political conniving and accusations are present and might take center stage in the next book in the series. Asta is my favorite character. She means well, but blunders a bit. A fun read that moves quickly along, setting things up nicely for the next book and a promise of more action. This entry was posted in mystery and tagged political fantasy. Bookmark the permalink.